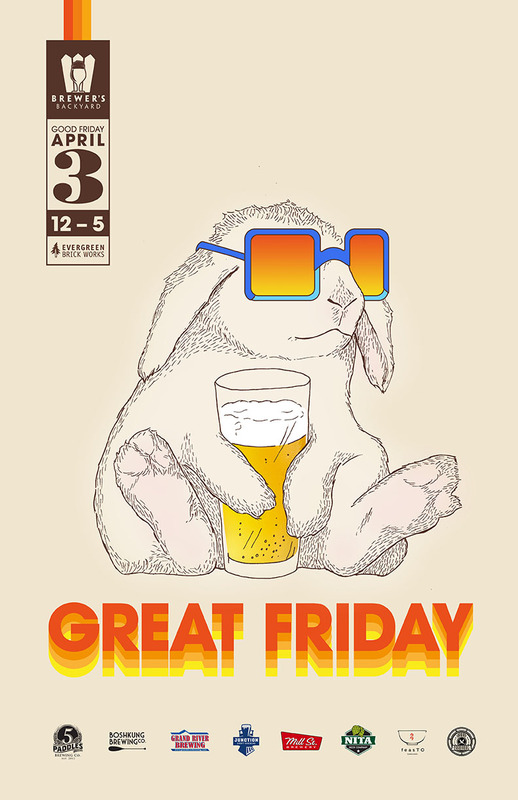 The Brewer’s Backyard returns on Good Friday, April 3rd with our next event, entitled Great Friday. And with this being our only event that starts a long weekend rather than finishes it, it’s shaping up to be a great time. On Great Friday we’ll be welcoming six brewers, including both familiar faces and newcomers to the Ontario scene. Joining us will be Junction Craft Brewing, Mill Street Brewery, Grand River Brewing, Boshkung Brewing Co., Nita Beer Company and 5 Paddles Brewing Co., representing some great beer coming from different parts of the province. And on the food side we’re thrilled to have back in FeasTO and Urban Carnivore serving up some great eats. The food and beer menu will be coming soon, so stay tuned for that. At Great Friday we’ll also have a limited quantity of our new 2015 branded glass (not a jar!) for sale, along with some other surprises. You won’t want to miss this one! Great Friday will run from 12pm to 5pm on Friday, April 3rd, both indoors and outdoors in the Young Welcome Centre and Koerner Gardens areas of the Evergreen Brick Works. As always, the Brewer’s Backyard is family-friendly, all ages, is free admission and no tickets are required. You can purchase food and beer at the event. We hope to see you there!